Overseas cricket teams’ tours of England are a much loved part of our sporting summer but bet you didn’t know that Newcastle once appeared on the tourists’ itinerary and that Heaton was a venue alongside the likes of Lords, the Oval, Maidstone and Hove. Admittedly we have to go back to 1884 – but it’s not just the local links that’ll surprise you but the identity of the tourists too. But first of all, when and how did Heaton acquire a cricket ground? For over 40 years, Northumberland Cricket Club had played its home matches at Bath Road (now Northumberland Road), an important sporting centre in the late nineteenth century – you may remember that George Waller competed in cycling events there. 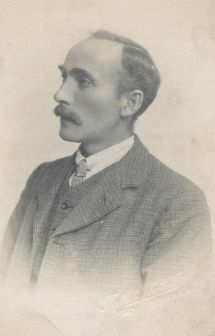 However, projected development meant that the club had to find another ground and was delighted when William (Later, Lord) Armstrong offered a six acre field at a nominal rent with a ten year lease. 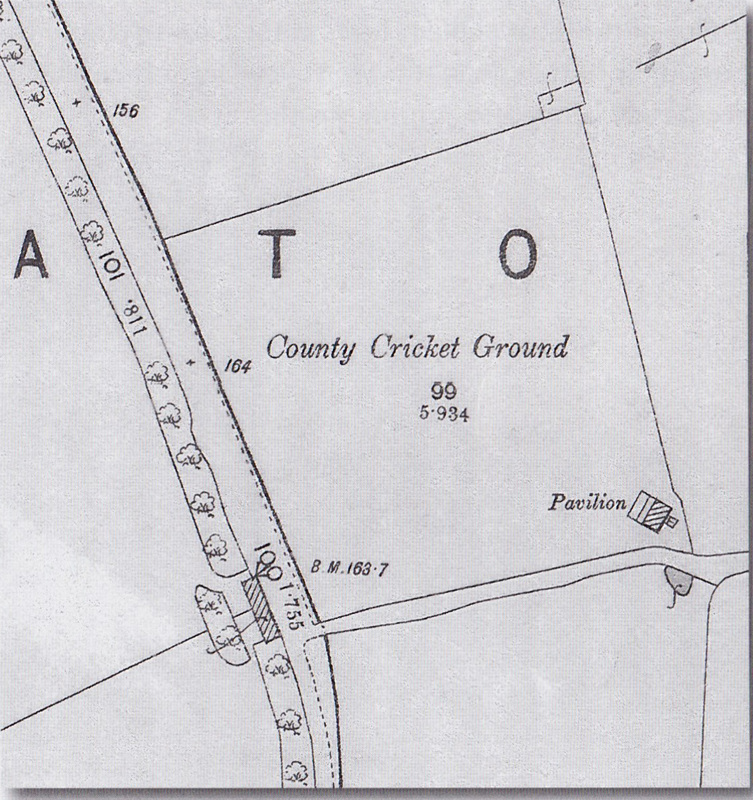 A cricket ground was prepared and a pavilion constructed on the site on the corner of what is now Heaton Road and Cartington Terrace. Cricket (and rugby) are still played there today. The cricket club’s home didn’t meet with everyone’s approval, however. It was considered remote and ill-served by public transport. 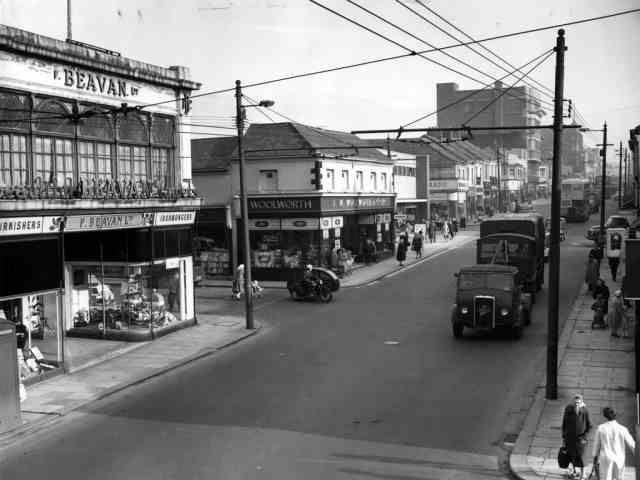 Remember, there were no buses or trams at this time – and Heaton Station was a fair walk away, through mainly open countryside. Although, then as now, most matches at the Heaton ground brought together local teams, cricket had long been a worldwide game. Its popularity was spread by English colonists from the 17th century onwards but what is generally considered the inaugural test match between Australia and England didn’t take place until 1877. 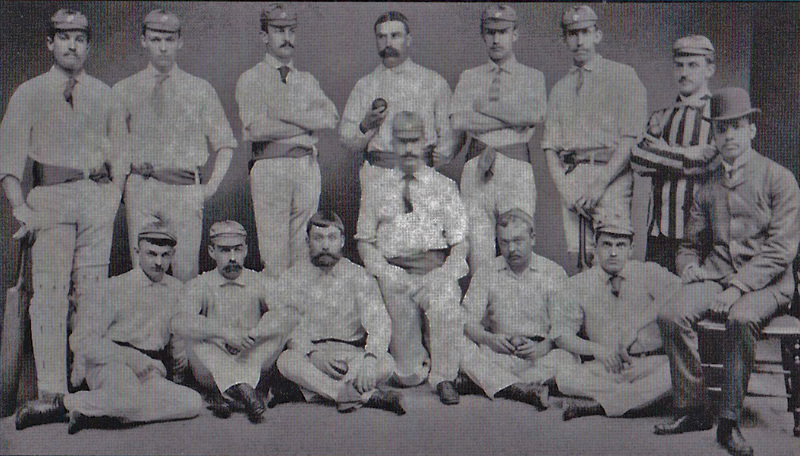 The Ashes themselves didn’t start until 1882 when the Australians beat England at the Oval. However, perhaps surprisingly the first international cricket match had taken place decades before when the USA hosted Canada in New York. In fact, America had been an early adopter of cricket. It’s said it had been introduced by English colonists even before it had reached the north of England. It’s in this context that we need to consider the tour of 1884. There’s an engraving of 1800 entitled Back of the State House Philadelphia which depicts a small boy with a curved cricket bat in his hand. Later the first cricket club entirely comprising native-born Americans was said to have been founded at Haverford College in the same state. By 1870, cricket was spoken of in Philadelphia as ‘the national game’. In 1854 Philadelphia Cricket Club was founded and in 1859, 13 Philadelphians were in the 22 to play the visiting All England XI. The American Civil War stalled the development of the sport as many Philadelphian men responded to Abraham Lincoln’s 1861 call for 75,000 volunteers. Those too young to enlist continued to play the game, however, and when the war was over the Philadelphians were keen to play more overseas opposition. 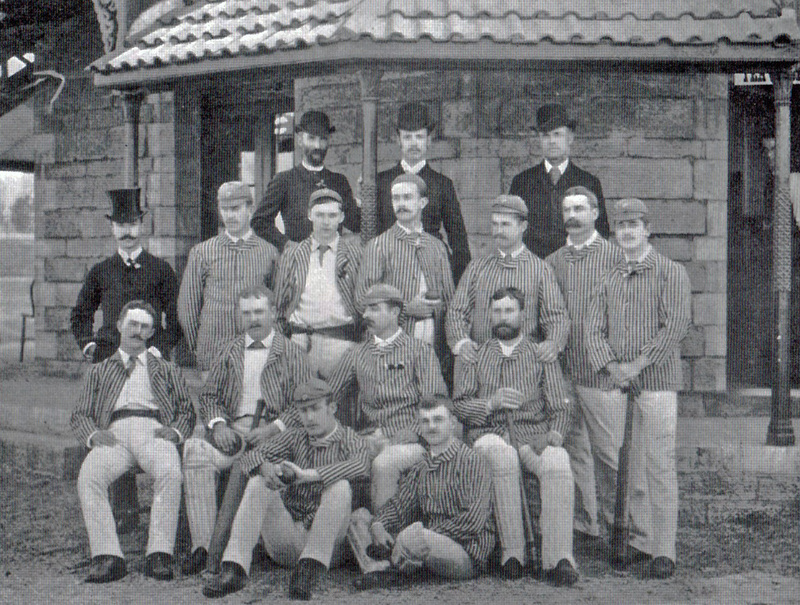 In 1878 its representative team played and beat the Australian tourists and plans were soon hatched to test further their skills against the inventors of the game. The sum of $8,200 was raised from five local clubs and the help of the MCC was sought in compiling a fixture list. Finally on 17 May 1884, fourteen players set sail from New York on the steamer, The City of Rome. Thousands turned out to wave off the tourists, the docks were ’black with thousands of spectators’ and The City of Rome ‘gay with flags and decorations’. Eight days later the ship docked in Liverpool. From there, the team, known as Gentlemen of Philadelphia to indicate its amateur, and therefore respectable, status, travelled to Dublin where they played 2 matches, and Edinburgh where they played The Gentlemen of Scotland. From there they toured English county grounds including MCC at Lords and WG Grace’s Gloucestershire (with Mrs Grace, W G’s mother, in attendance). 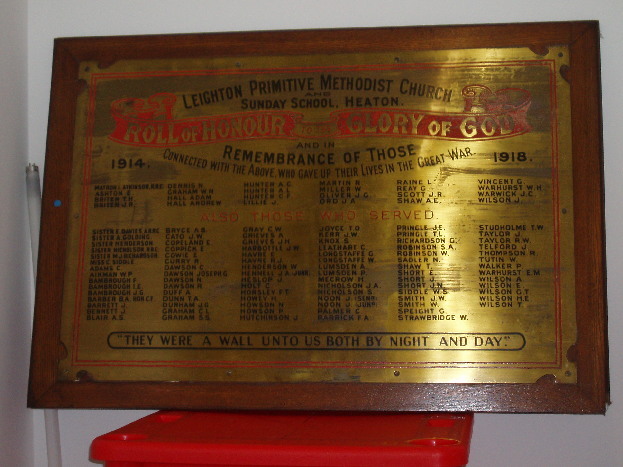 The match in Heaton took place on 11 and 12 July 1884. One of the tourists kept a diary in which he describes some of the matches, venues and off-field hospitality in detail. For example, about 4,000 people attended the Lords match over the two days, the Aigburth ground in Liverpool was ‘the prettiest ground we saw in England’ and, in an interval between matches some of the players went to Wimbledon to watch the tennis. However, frustratingly little information was recorded about their trip to Northumberland. 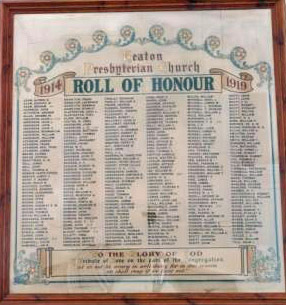 However, there were lengthy reports in local newspapers in which the fixture was described as ‘the most important match that will be played in this district during the present season’ and the Northumberland team as ‘a thoroughly representative team, having been carefully selected by the County Committee’. A clue to the conditions can be found in the weekly Newcastle Courant for Friday 11 July, day one of the match. The newspaper reports the heavy thunderstorms of the previous day in which a house in nearby Jesmond was damaged by lightning. Though the weather was tempting enough at the outset, the attendance was small… It appears to us that no matter what exertions are put forth by the many ardent cricketers in the north – and their name is legion – they fail to command the patronage of the general public… there should be a free gate or a smaller amount charged for admission. 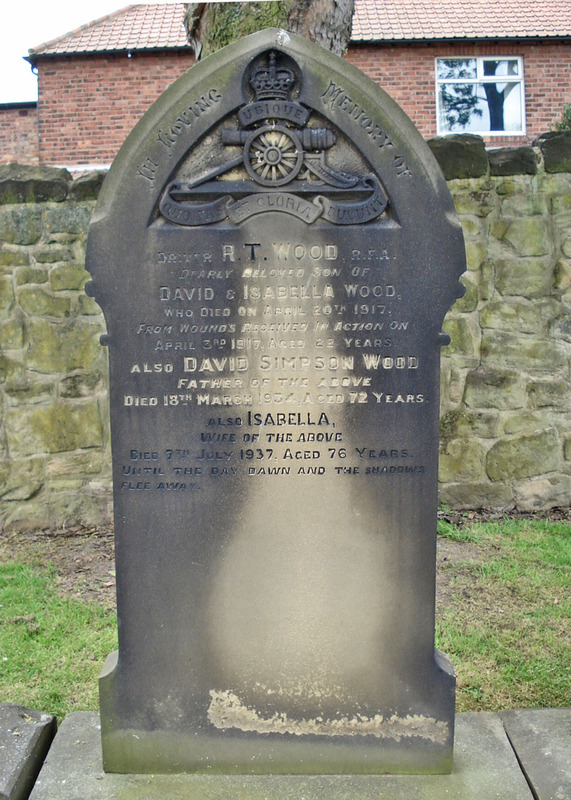 If this plan were adopted, the working classes could obtain a fair idea of the game and we have no doubt that cricket would be more appreciated in the north than it is at present time… about 5 o’clock a thunderstorm visited the district and necessitated an adjournment for a half an hour after which the wicket was so soft that it was determined to postpone the game for another quarter of an hour and a recommencement wasn’t made until 6 o’clock. In glorious summer weather, this important match was concluded… the wicket wasn’t nearly so treacherous as on the first day. There was considerable improvement in the attendance but still the number present was small when the importance of the match was taken into consideration. Cricket was still evolving at this time. It was less than 3 months earlier that the number of players in a team had been standardised at 11 and there were still only 4 balls in an over. Come what may, the local team was no match for the tourists. 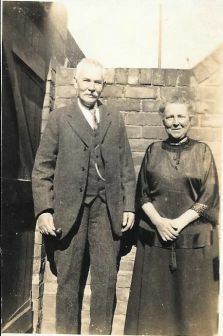 One American bowler, W C Lowry took 5 wickets in each innings and another, W C Morgan, was top scorer with 38. The Northumberland team failed to make 100 in either innings with only C F Cumberlege scoring over 30 and, although E B Brutton took five wickets in the second innings, the Philadelphians won comfortably by 96 runs. It may be that the ground only recently used for pasture on Heaton Town Farm wasn’t of the highest standard and that, together with the weather and the modest opposition, accounts for both the tour diarist’s silence and the low scores. The tourists’ final record that summer read: Played 18 Won 8 Drawn 5 Lost 5. We don’t know too much about the Philadelphians outside of cricket except that one of their players, J B Thayer, later became the only first class cricketer to die on board The Titanic. There were further tours over the next 3 decades but other sports gained popularity in the USA and the final nail in cricket’s coffin across the Atlantic seemed to be the decision to set up the Imperial Cricket Conference, which specifically excluded countries from outside the British Empire. Nevertheless cricket is still played in the United States and Philadelphia Cricket Club is still going strong, although cricket gave way to other sports, such as golf and tennis, between 1924 and its revival in 1998. 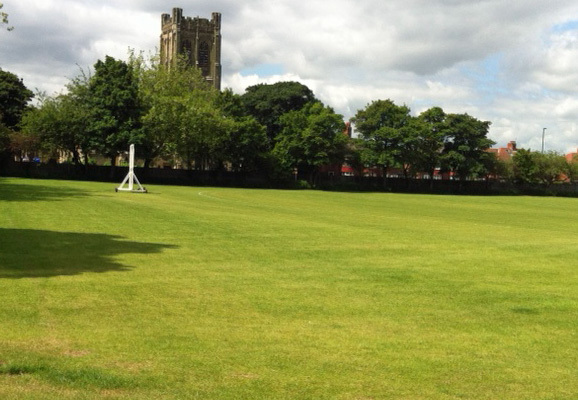 And although it hasn’t featured on an MCC-organised tour for a while, the sport is thriving in Heaton too – the Cartington Terrace Ground (known as the Medicals Ground) is now owned and used by Newcastle University: it would be great to hear from or about anyone who’s played there or who can add to what we know. 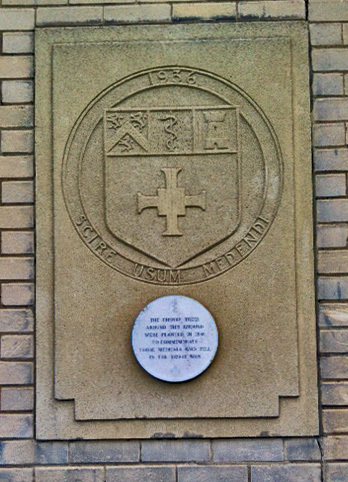 This entry was posted in Research and tagged Cartington Terrace, cricket, Gentlemen of Northumberland, Gentlemen of Philadelphia, George W Waller, Heaton Road, Heaton Town Farm, Medicals, Newcastle University, Northumberland Cricket Club, plaque, William Armstrong, WW2 on July 1, 2014 by oldheaton. 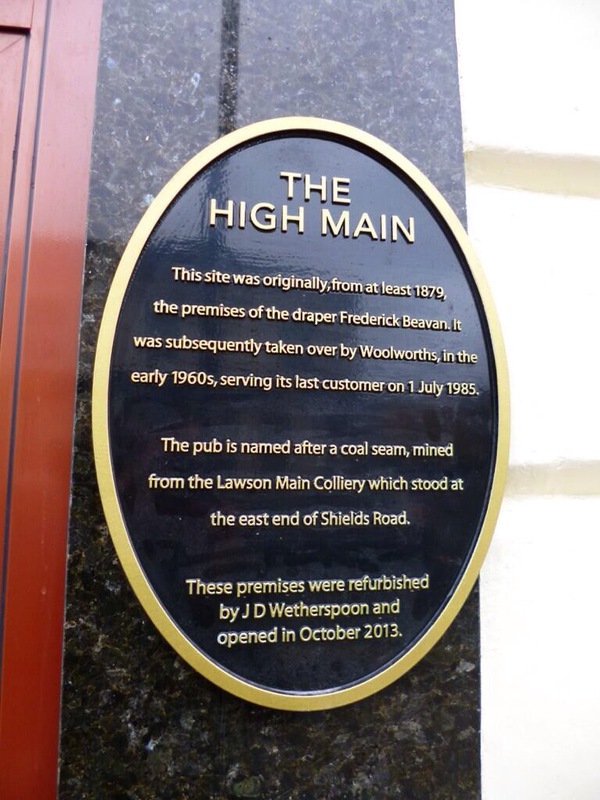 Not a detailed timeline but we couldn’t pass up the chance that the opening of the new pub on the corner of Heaton Park Road and Shields Road gives us to show pictures of the same building at different points in its history. 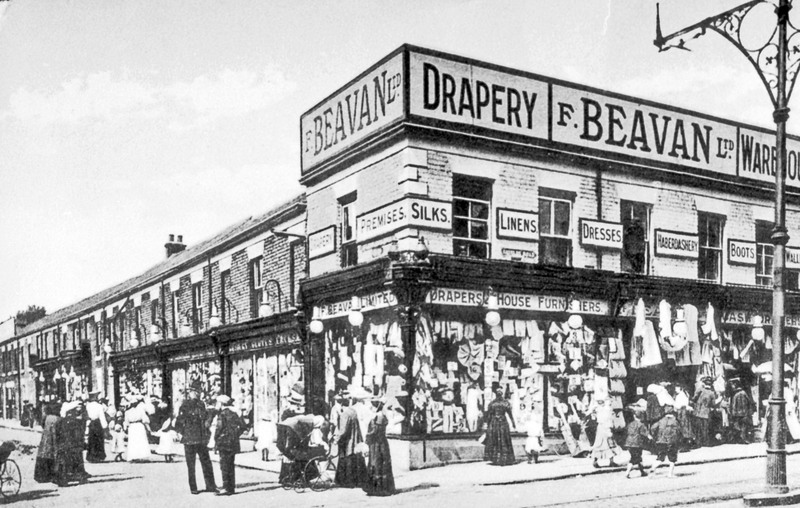 Most people associate Beavan’s with the building on the opposite side of Heaton Park Road which still bears its name, but this lively street scene shows that it was previously on ‘High Main’ corner and seems to have extended down Heaton Park Road. 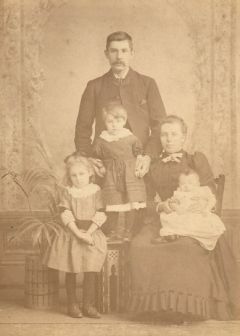 Thank you to Beamish Museum for letting us use this photo. It’s interesting to see the now demolished shops and houses further down Heaton Park Road. And notice that some of the children have bare feet. 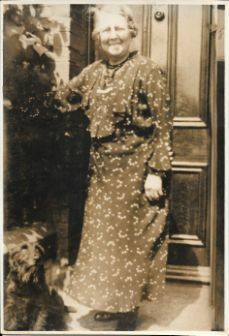 But can you help us date the photograph? The fashions should give us a clue. And what about this one, showing Woolworth’s occupying the site? Sometime in the 1960s? Who remembers shopping or working there? Did anyone own one of those sidecars? 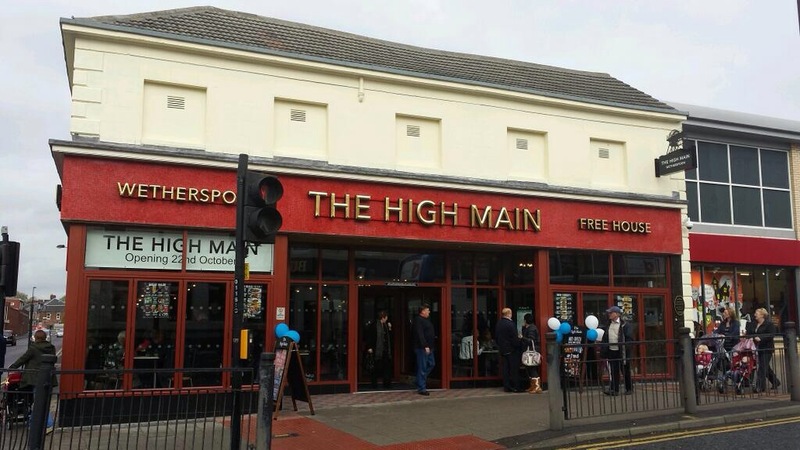 And, for comparison, the new pub. Thank you to Graham Soult for permission to use these two photographs. There must be lots of people with information or memories of Woolie’s, Beavan’s (even if not in these premises!) 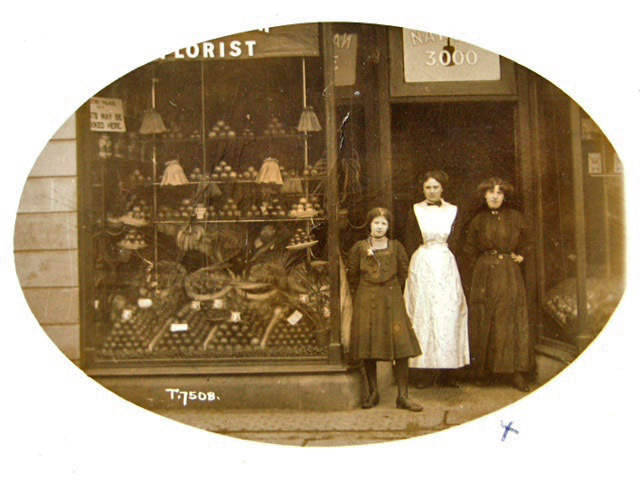 or of other shops on Shields Road. We’d love you to post your comments here or email them to Chris Jackson. 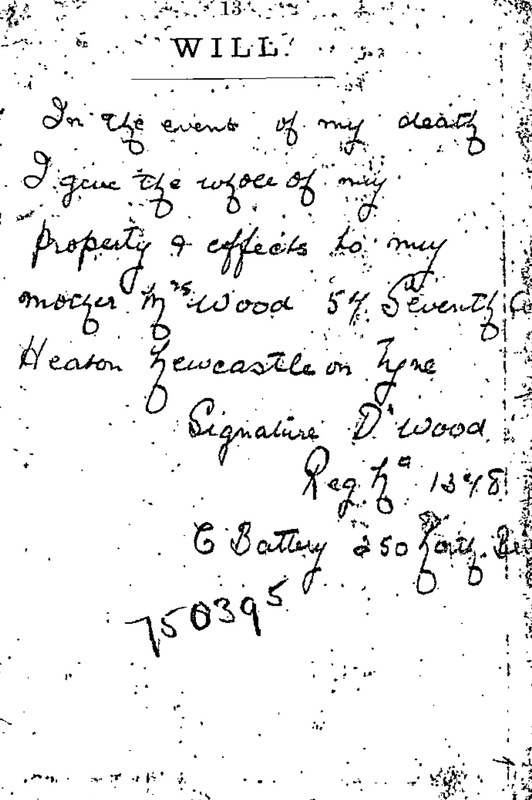 This entry was posted in Research and tagged Beavans, Heaton Park Road, plaque, Shields Road, Woolworth's on October 22, 2013 by oldheaton.